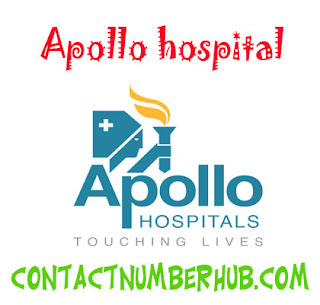 Apollo Hospitals Dhaka contact number, location and address all are here! Apollo Hospital Dhaka was started its activities in Dhaka, Bangladesh on April 16, 2005. It comes with the mission to availability top quality healthcare with international level that can meet the nation’s need and fulfill the expectations of the people. The building of the hospital is an 11-storied complex that’s built on the 4 acres of land and total space of the area is 435, 000 square feet. Its construction was started in 2000’s November and comes to the end on March, 2005. It was constructed with consultations of the renowned architecture company of the USA, Smith Group. The hospital gets its first recognition from the Joint Commission International Accreditation (JCIA) for its highest quality and international standard healthcare service. Here is all of your expected information regarding to the Apollo Hospitals Dhaka, including contact numbers, locations, addresses and branch list. Dhaka Apollo Hospitals has world class facilities of lab medicine with external quality control program with assistance of BIO-RAD, USA. The hospital was launched with the association of STS Holdings Limited and Apollo Hospitals Enterprise Limited. Apollo Hospital Dhaka contains 450-bed with multi-disciplinary tertiary care offers comprehensive healthcare services in Bangladesh with the latest surgical, diagnostic and medical facilities. All of its services are provided by the professional doctors, well trained nurses along with the expert medical technologists using state of the art and other modern technologies.